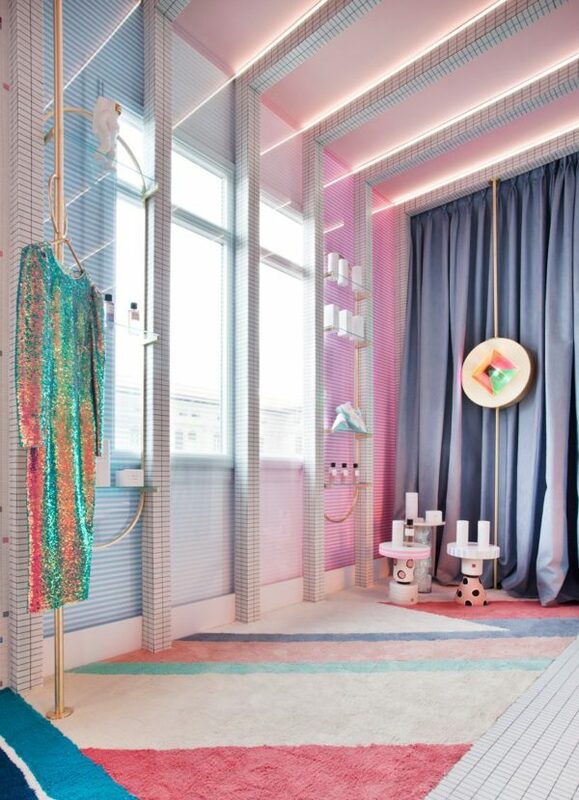 Patricia Bustos references video games to create a retro-futuristic dressing room. 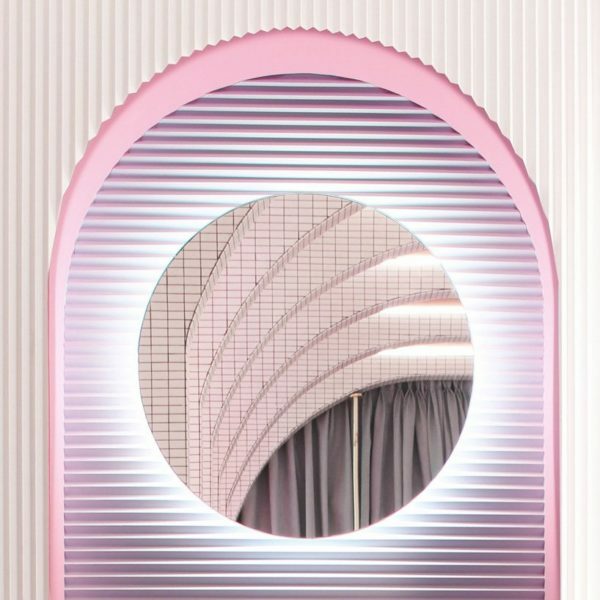 Geometric patterns and rounded shapes decorate the asymmetric interiors of ‘Wonder Galaxy’, a retro-futuristic dressing room by the Madrid-based Patricia Bustos. 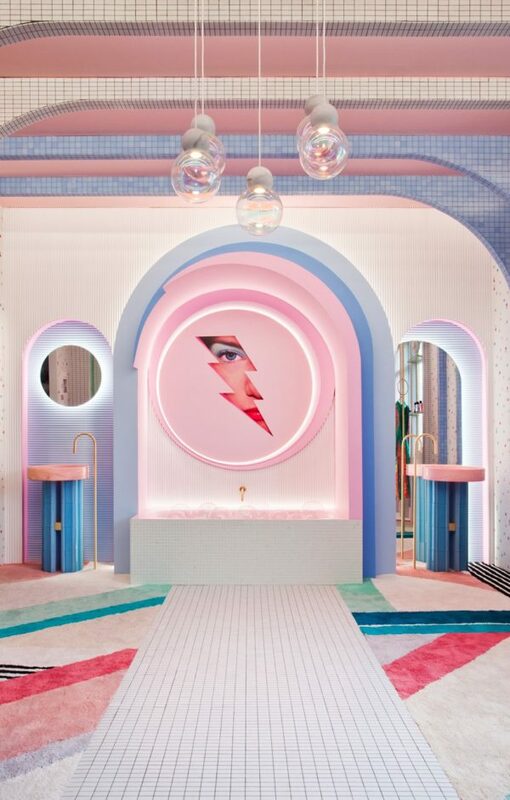 Inspired by Austin Powers, the space hopes to evoke a ‘childhood energy’ with its use of colour and dream-like elements. 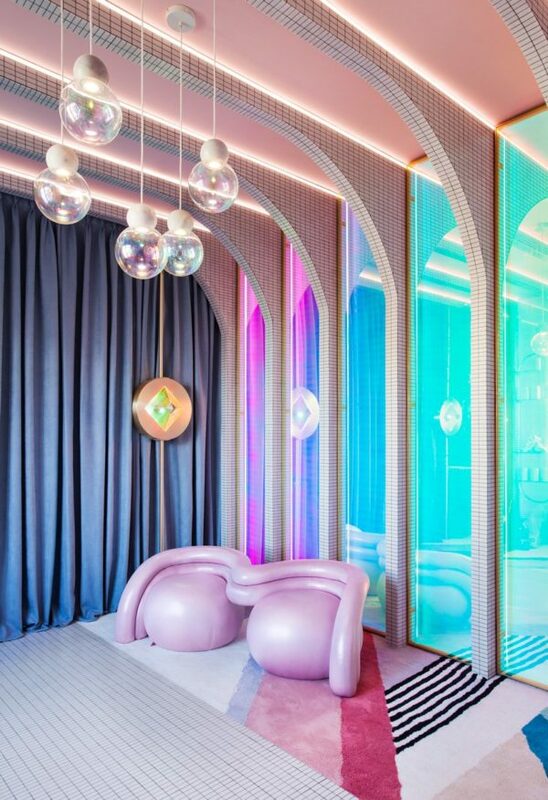 The dressing room is drenched in pastel shades and neon hues with lighting playing a fundamental part in creating an other-worldly feel. Patricia Bustos uses smart lightbulbs and philips’ hue application to set up scenes of changing light that interact with the various textures and shapes. The space is characterised by layered alcoves and tiled mosaics. Meanwhile, iridescent and mirrored surfaces expand the interior to create a feeling of infinite depth. 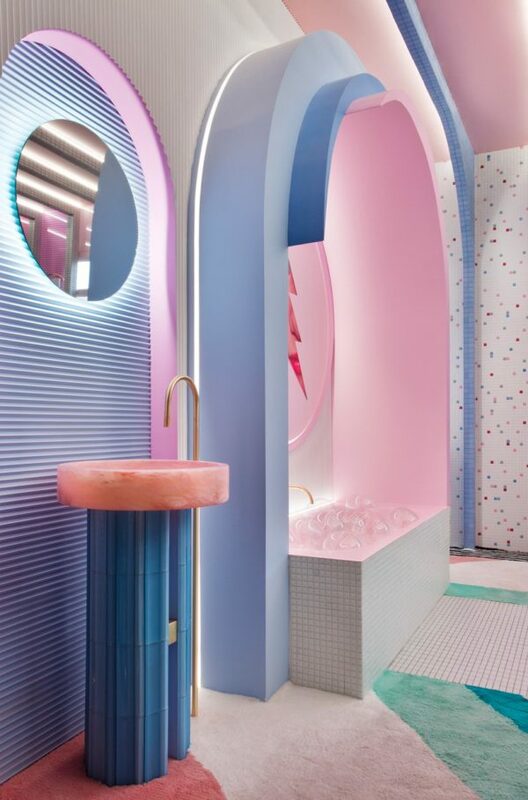 All furniture and accessories have been made specifically for the project including the ‘bubble gum’ sofa and the ‘spaceship’ sinks. Echoing the use of brass and curved shapes, a set of bespoke shelves are fitted into the rib-like structure of the interior. The project is part of this year’s Casa Dècor, Madrid’s popular design event.